Downtown Design is a seasoned one-man, design studio focused on bringing your vision into reality. 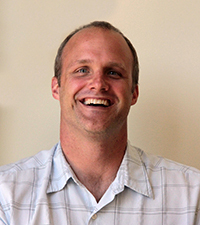 Principal and founder Jeff Brown yields 13+ years of experience in the graphic design industry working for a multitude of clients, in various capacities on a range of projects. Throughout this time, I've honed my craft working with entrepreneurs and organizations in creating a brand identity then enhance and refine across mediums like business and marketing materials, websites and interactive applications. I strive to achieve the veritable balance in design—equal-parts functional, informative and visually engaging. 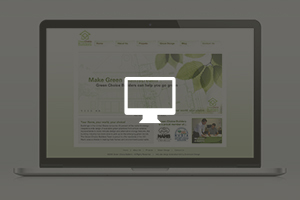 Good design spans across all mediums—from brand identities to a marketing brochure all the way to an app for your iPad. I appreciate the importance of a well-thought-out design that is easy to use and pleasing to the viewer’s eye. I am always looking for the right opportunity to partner with a client who shares these qualities and a creative vision. When not on the job, I enjoy hanging with the family, "Q-ing" on The Egg, sipping a nice Peloton Laetitia Syrah, listening to vinyl on the hi-fi, shredding sweet singletrack, watching a little Saturday morning Premier League, floating through fluffy cold pow, cheering for my Giants and Niners or partaking in some Pliny. Whether you're looking for a new identity for your new business or a website for your organization, Downtown Design has you covered. 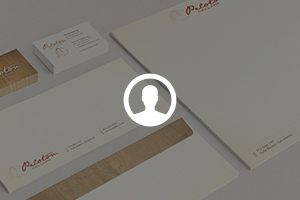 Create a lasting, first impression with a custom identity system. 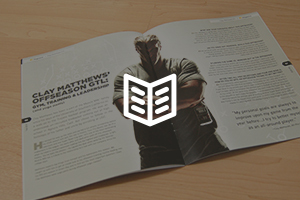 Nothing beats the tangible feel of a well-designed printed piece. A digital presence that’s captivating & informative across countless platforms.